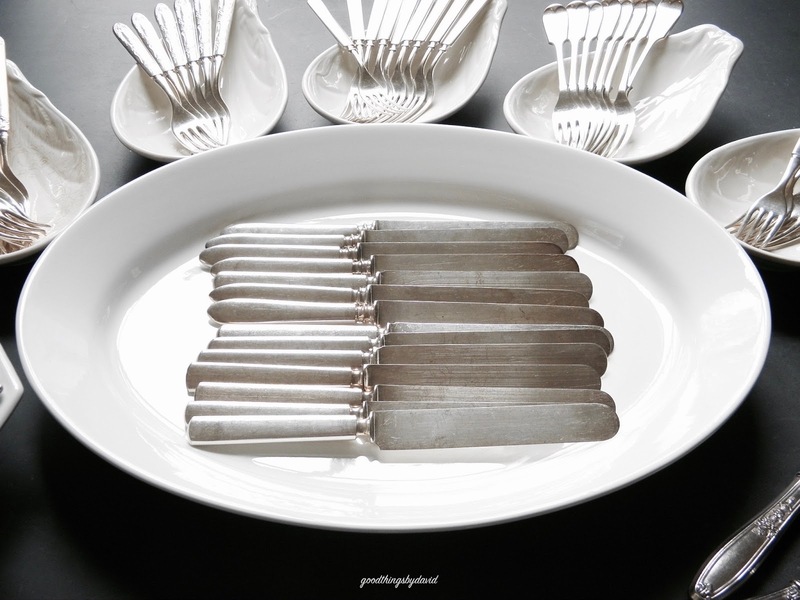 There is nothing like setting a table with antique or vintage silverware. It has become the standard at home to set our table with a mix of vintage and antique silver, along with china patterns from a bygone era. 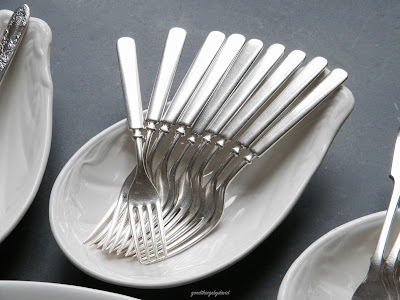 Although I do own complete sets of silverware patterns, I normally prefer to blend designs so that I create a little bit of visual interest at the table. While in Los Angeles over the Christmas holiday, I was able to visit some of my favorite antique stores. This time around I was determined to only look for silverware because I didn't want to bring back anything large or bulky. I hit the mother lode at the Orange County Antique Mall on Glassel St.. 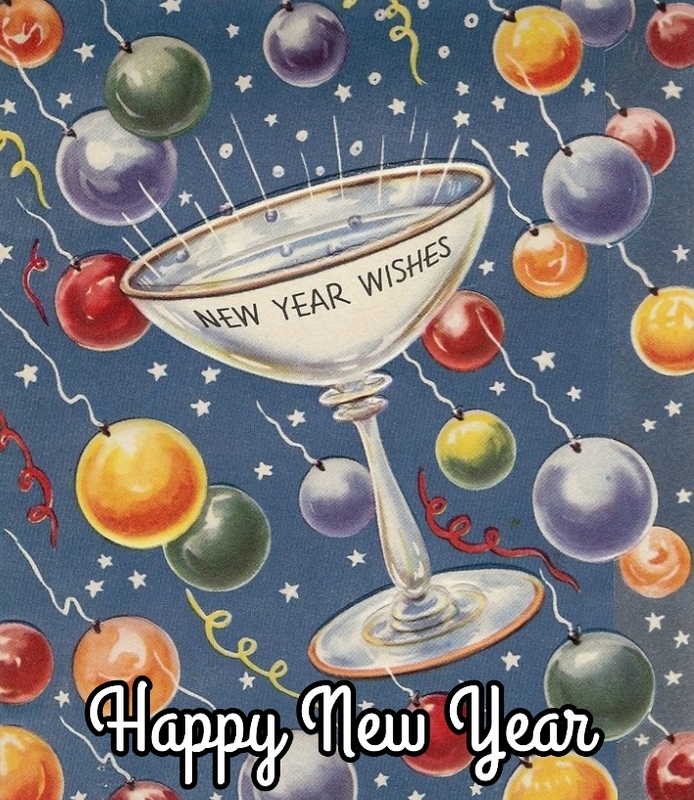 It's an area known for having several stores which specialize in vintage and antique items. The silverware is spectacular there! 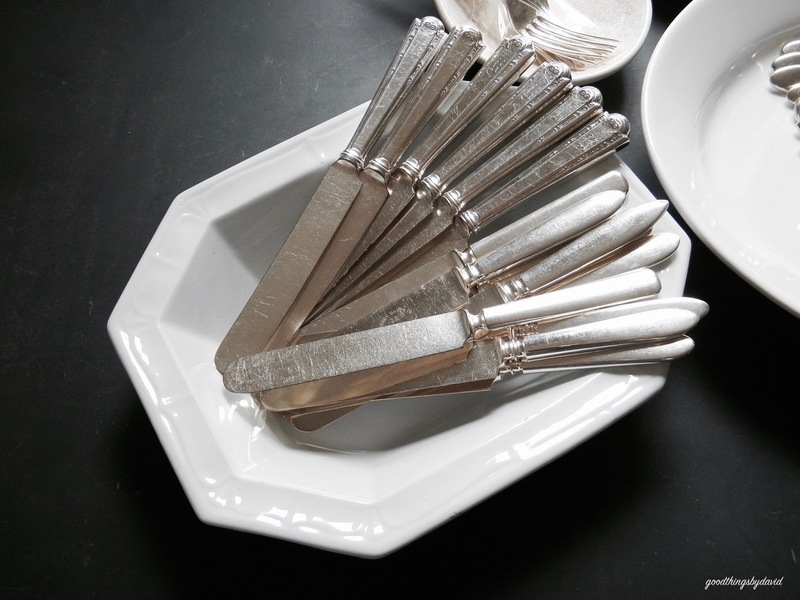 This small stockpile of luncheon knives (or dessert knives) is great for weekend brunches. 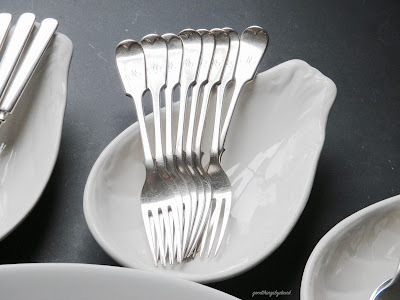 Having a set of these means that I can still use knives for smaller plates, without overwhelming them with the proportions of Continental pieces. The monogrammed patterned knives at the top left, have no markings, so I am at a loss as to who manufactured them. The ones beneath them have an 1835 R-Wallace 12 mark on the blades. There is something very elegant about using knives with Continental (European) blades. The proportions are more substantial, and the look they create on the table is that of elegance. It's a shame that these have fallen out of fashion. 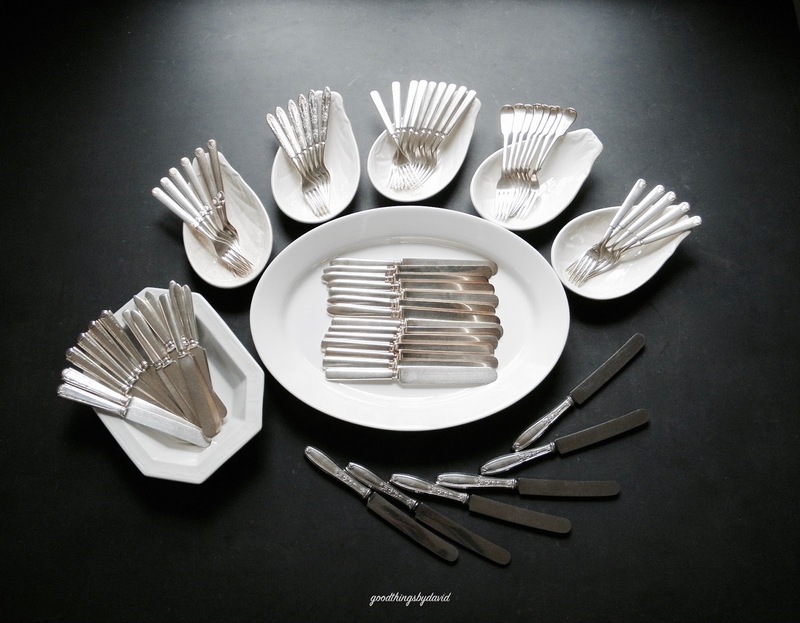 This gathering of dinner knives is what it's all about. At over nine inches in length, the clean, simple design of these knives makes them suitable for so many different occasions. 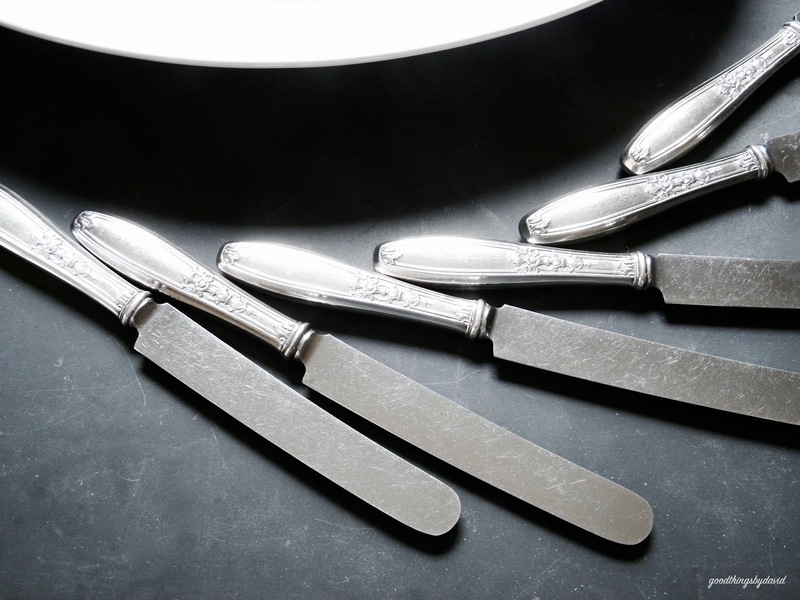 Formal or informal, the knives can be combined with a number of china patterns. All have Rogers stamps on them, however, there are differences in dates and bolster shapes. Let's take a closer look. The rectangular-handled dinner knives with a single bolster have a Rogers Bros., Warranted 12 DWT stamp on them. The knives with the oval handles have a double bolster, and they are marked with Rogers Co. 1871, Hartford, Conn., 12. While searching through the baskets of silverware at the OCAM, I was instantly captivated by several examples of dinner forks with narrow handles. 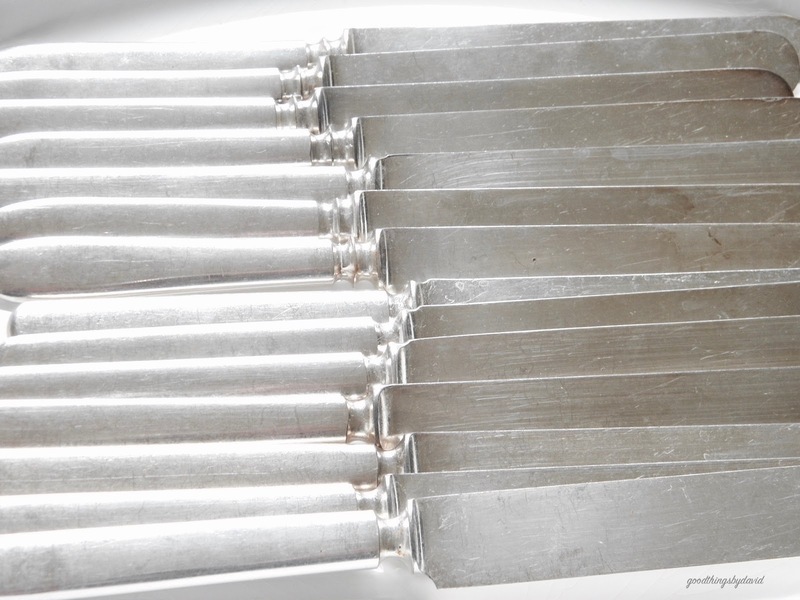 This set of six forks shows a shell design at the tip of the handle and by the bolster. These are stamped with C (or G) ES 12 on them. I love these forks with their intricate design. Grape leaves and bushels of grapes adorn the handles, and underneath, they are stamped with Rogers Warranted 12, Pat. Jan. 14, 08. A plain design with a delicate bolster is the best way to describe these Wm. 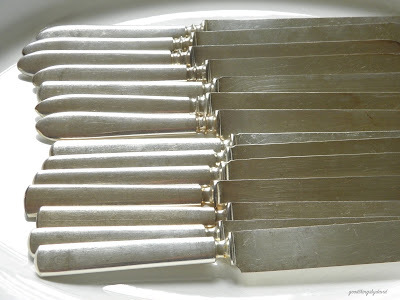 A. Rogers dinner forks. I believe these were made at the turn of the twentieth century. Not American at all, but rather British in origin, these fiddle tipped forks have stamps on them which date to around the 1830s. They're beautiful! 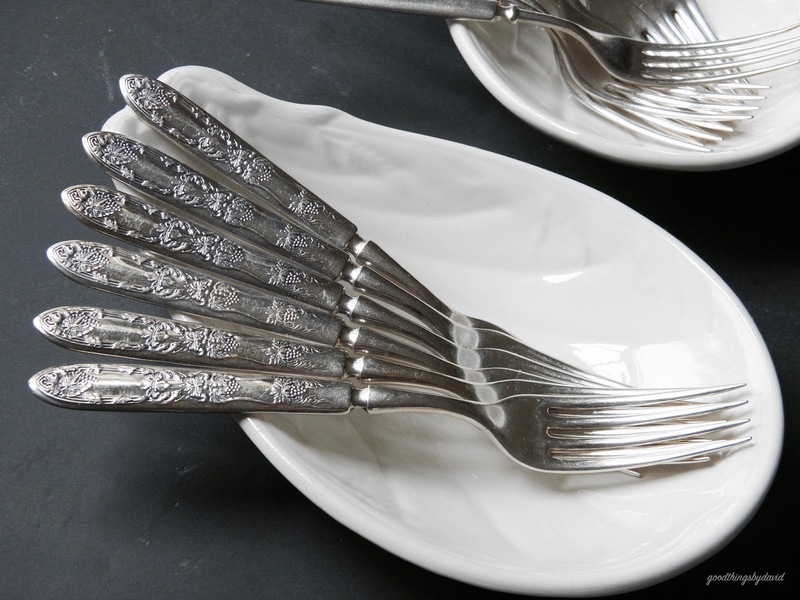 Another shell pattern (single) adorn these forks by Wm Rogers & Son 12. I took out a few of my favorite china patterns to see what would look good with what. It turns out that I can really and truly combine the silver I bought with just about any of these designs. The permutations are nearly endless because I can change it up based on what looks good at a particular moment. 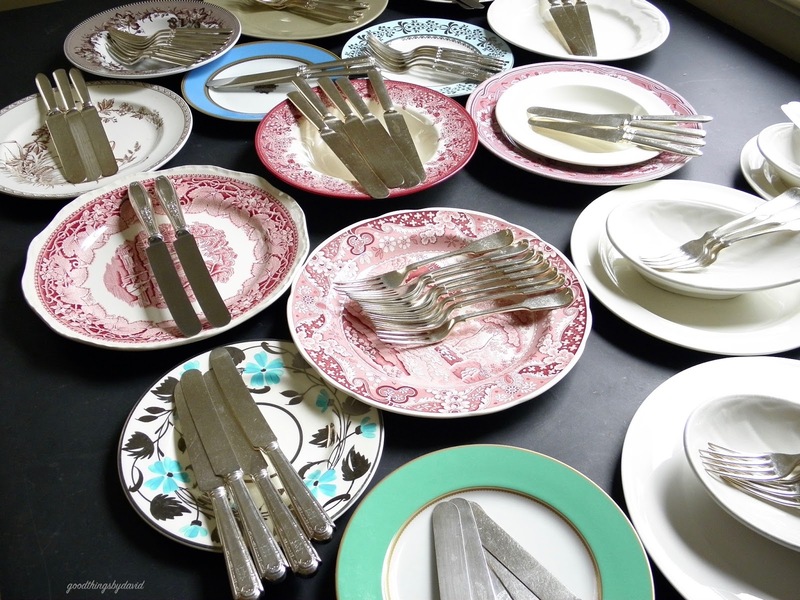 Whether I use brown or red transferware, blue or silver lusterware, cream or taupe Wedgwood, new or old ironstone, I will be able to reach into my silverware drawers and pick something that will undoubtedly look appropriate. 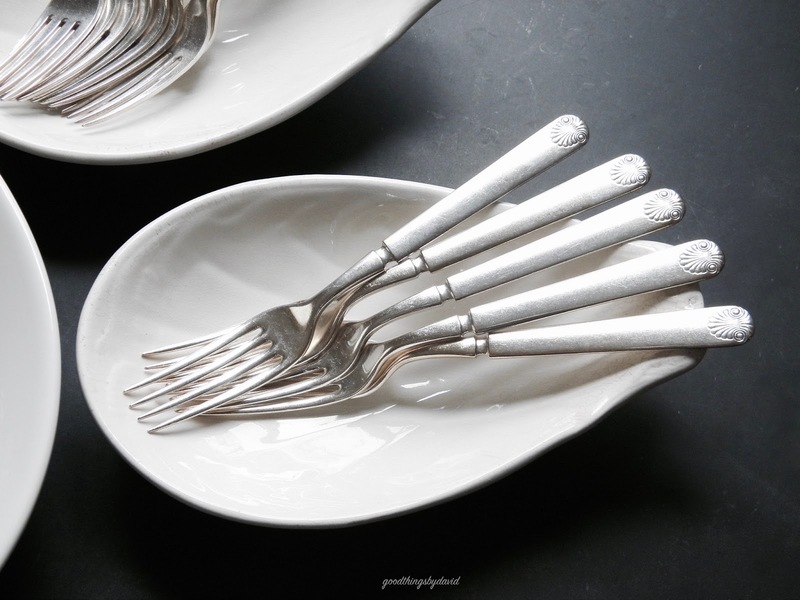 Antique or vintage silverware doesn't have to cost a lot. If you choose silver-plate instead of Sterling, then you will be able to spend much more freely on building a collection worthy of old or new china. 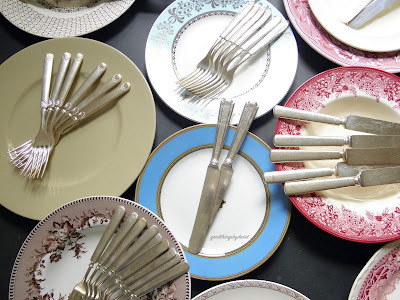 It's such a luxury being able to use silverware at the dining table, and if it happens to be old, even better. Don't be surprised if you find yourself reaching for it before you do the stainless flatware. 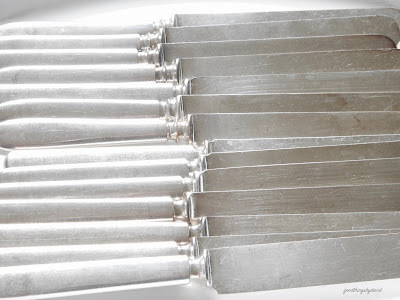 As convenient as the latter is, a table set with silver will look and feel a million times better. 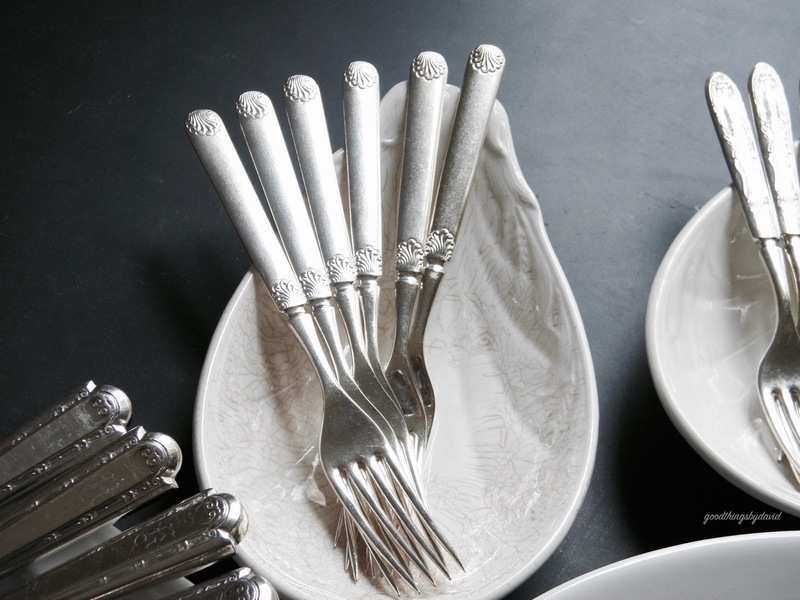 Call me old-fashioned or out of date, but I say nothing beats high-quality silverware that is classic, historic, ageless and pure. 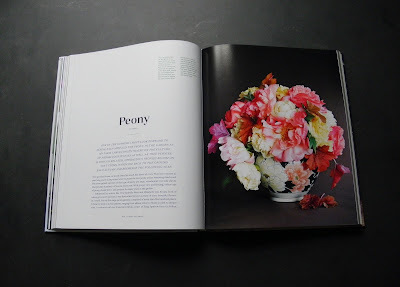 The latest book to come from Martha Stewart Living is dedicated entirely to the growing, cultivating, cutting and arranging of splendid blooms. 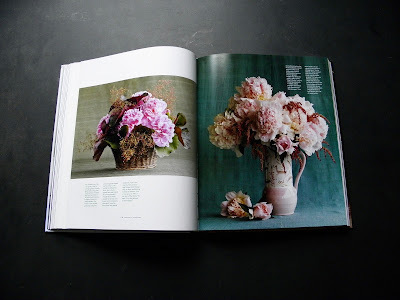 'Martha's Flowers' is out February 27th, and it's a publication that you won't want to be without, because it is beautifully organized, well written and gloriously photographed. The hardcover book co-authored by Martha Stewart and Kevin Sharkey, gives us an intimate account of Martha's favorite flowers as they bloom throughout the year. 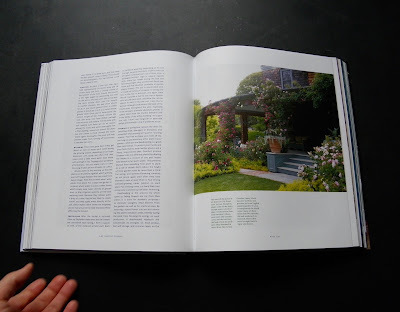 Written from the perspectives of America's most trusted lifestyle expert, and her friend and colleague, Executive Director of Design at Martha Stewart Living, 'Martha's Flowers' will take you into the homes and gardens of Martha Stewart. 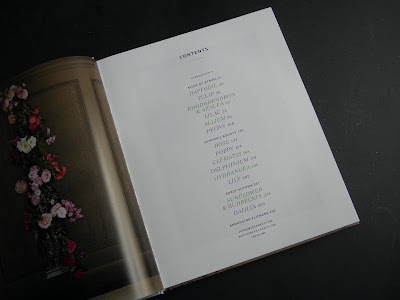 The first thing that you will notice when perusing the book, is how beautiful it is. It reminds me so much of Martha's second Entertaining book; a large hardcover tome filled with truly breathtaking photographs. Every photograph shows gorgeous blooms from Martha's gardens, and each design is arranged in one of Martha's antique vessels. 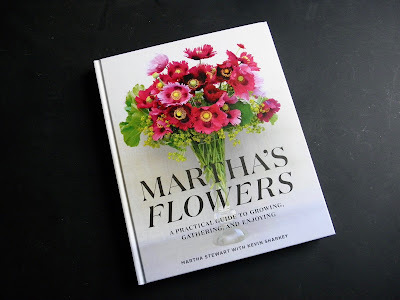 The publication will have you wanting to grow many of these flowers and collect the unique containers that Martha uses. Martha dedicates the book to her grandchildren, Jude and Truman. The table of contents shows you how each chapter is divided into a specific season, with each season being devoted to distinct blooms. All of them are favorites of Martha. 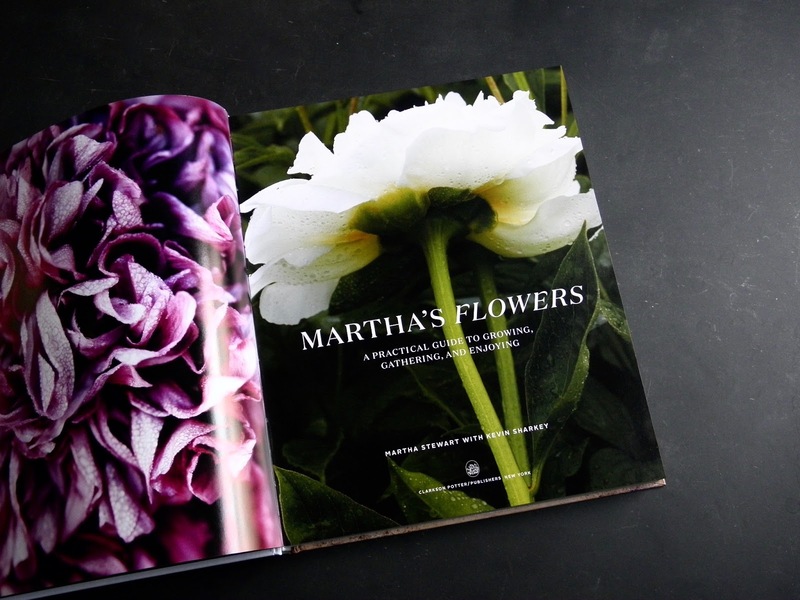 At the beginning of each chapter, Martha gives us the history of the flower, and the reasons as to how and why she grows them in her gardens. Her friends, her travels and visits to gardens around the world, are constant sources of inspiration for Martha. The chapters provide you with information on how to choose the right flower and where to grow each bloom, along with vital facts on planting, watering, fertilizing, pruning, troubleshooting and arranging them. 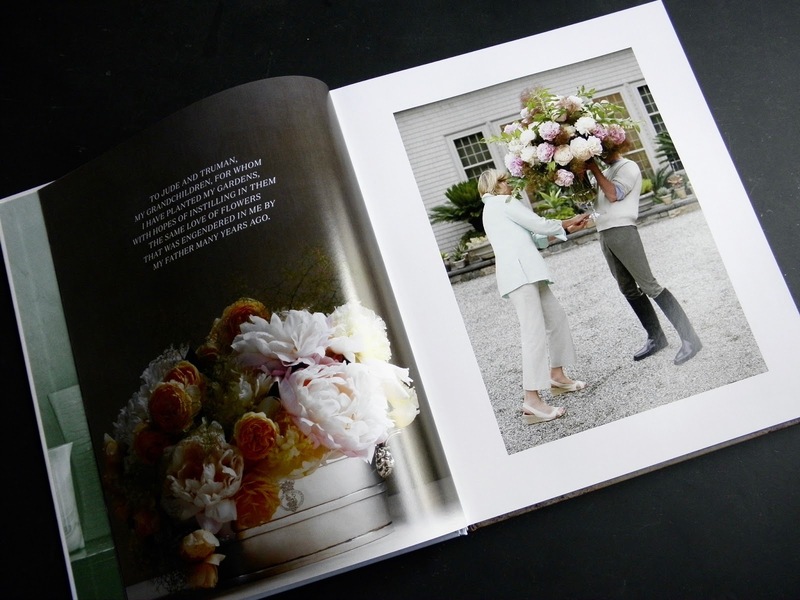 At the end of the book, Kevin and Martha give you their expert tips on choosing the right tools for arranging flowers, and their techniques for creating, shaping and composing spectacular arrangments. Don't forget to make this book a part of your home when it comes out in February. You're going to want to give it a prominent location in your library, because it will provide you with countless inspiration. I know of several friends who can't wait to get their very own copy of 'Martha's Flowers'.